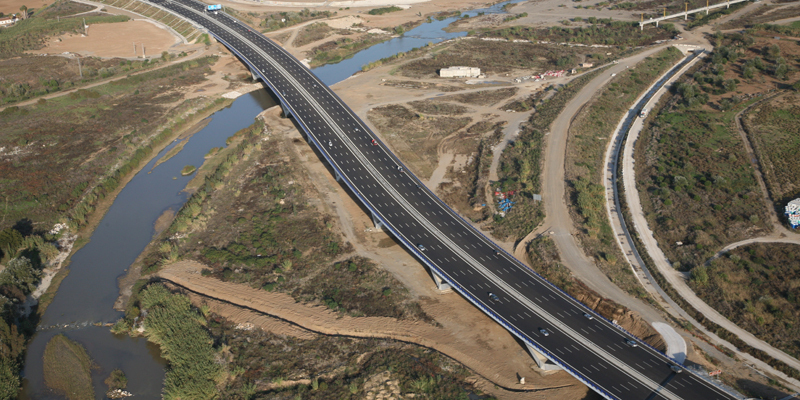 TPF GETINSA EUROESTUDIOS is one of the leading engineering companies in Spain, truly committed to innovation and excellence in all aspects of infrastructure development. We are leaders in the key areas of transport, environment, water, building and urban development. Our experts deliver comprehensive services across the full life cycle of infrastructure projects – from feasibility studies to integrated project management, including all intermediary steps, such as demand studies, transport planning, detailed design, construction supervision and value engineering. TPF GETINSA EUROESTUDIOS is a global company based in Madrid, with permanent offices in Argentina, Algeria, Bolivia, Colombia, Costa Rica, El Salvador, India, Peru, Poland, Philippines, Saudi Arabia, Turkey, United Arab Emirates, U.S. and Vietnam. We continue to expand our world-class expertise, working on a range of major projects for governments, private companies and international funding agencies such as the World Bank, the Inter-American Development Bank, the European Commission, the African Development Bank, the Asian Development Bank and the the Central American Bank for Economic Integration. TPF GETINSA EUROESTUDIOS has experience in more than 60 countries. Our team is made up of highly-experienced multidisciplinary staff. We have approximately 1200 employees, comprising engineers, architects, planners, surveyors, project and construction management experts and environmental specialists. Our core values of excellence, efficiency and continuous innovation ensure we deliver the best solutions that meet our clients’ needs. Supervision of the feasibility study of Agua Negra Tunnel, a twin-tube tunnel between Argentina and Chile, 14 km long.